This news initially broke with an image promoting the content that said it “was not available on all platforms.” An examination of the box arts for each console further confirms this as the logo is only missing from the Wii U version. It’s tough news for a console that desperately needs users to engage with software. While third party games have never been Nintendo’s strong point, they could certainly benefit from some of this, but not many studios can develop games equally. Though Deus Ex: Human Revolution was recently re-released with completely redone boss battles, the well known weakness of the game. 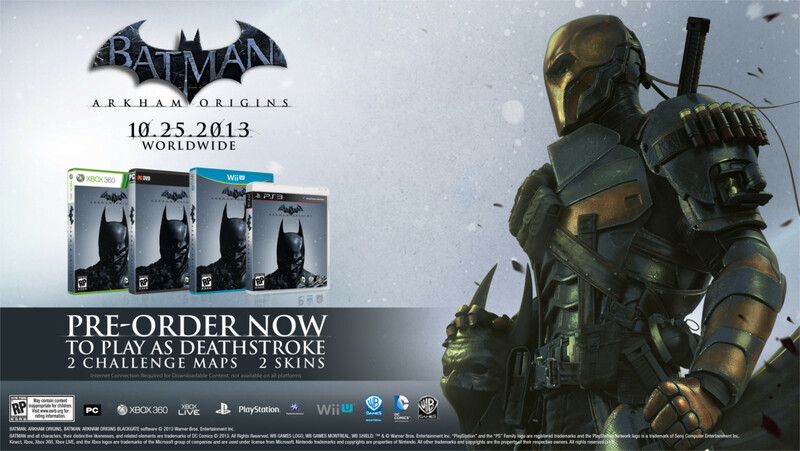 What console do you plan on picking up Batman: Arkham Origins on? Does the Deathstroke DLC influence your purchase at all? Let us know in the comments.